I am CRAZY stupid in obsessed with these. I’ve never even made traditional buckeyes, but I can’t say that I’m ever going to get around to it. One bite of these chocolate chip cookie dough buckeyes has convinced me that this is the only buckeyes recipe I’m ever going to need. So. Just in case you are unfamiliar with Buckeyes… the traditional kind is made up of peanut butter ball covered in chocolate. Annnnnnnd….. it has something to do with Ohio. That’s about the extent of my knowledge on the little boogers. Sounds yum, right? I’ve totally been meaning to make them. Especially around Christmas– I always think I’ll get to it at Christmas time. But now… I’m just not sure I’ll ever be able to deviate from this recipe. It’s literally chocolate chip cookie cookie dough (without the eggs of course)– my favorite– covered in chocolate. I just feel like if I’m going to be dipping anything in chocolate, from now on, it’s just going to have to be cookie dough! Cream together the butter and sugar until smooth. Add remaining ingredients (except the candiquik) and mix until smooth (since there are no eggs and no baking soda, there is no need to add ingredients sequentially. yay!). Use a cookie scoop to portion out cookie dough balls onto a baking sheet (roll balls in your palm to smooth). Place the baking sheet in the freezer for 10 minutes. Melt candiquik according to manufacturer's instructions. Use a toothpick to dip each cookie dough ball into the chocolate, allowing excess chocolate to drip back into the melting tray. Place the chocolate covered dough on a sheet of wax/parchment/silicone mat to cool and harden. Smooth over the toothpick hole with your finger. Best if kept chilled until serving, but not absolutely necessary. Are you cookie dough obsessed?? Then you’re in luck! 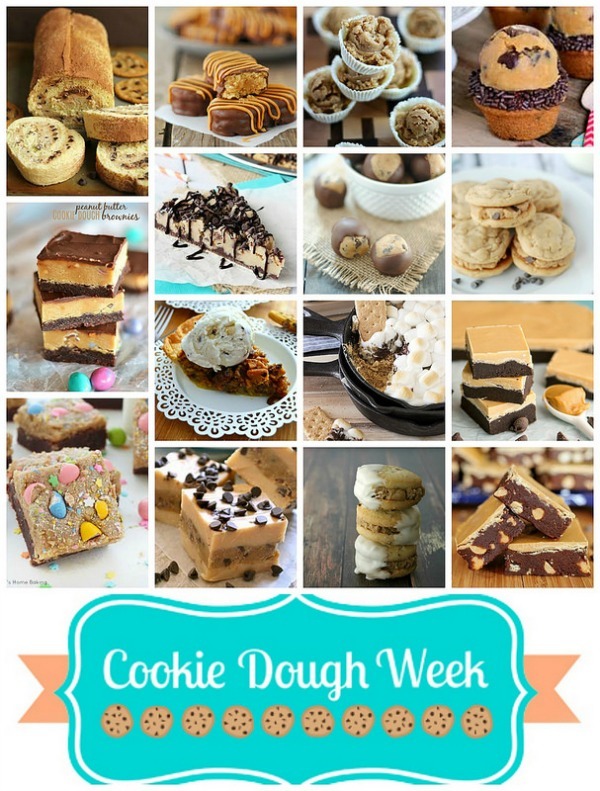 A bunch of my friends and I are celebrating cookie dough week this week… which we may or may not have totally just made up. Either way, it’s delicious, and you won’t want to miss a bite! These look amazing! My family is obsessed with buckeyes! I’m going to have to try these! Ashton, these are definitely going on our Christmas plate, too… and every holiday in between! Maybe even on weekends! Pinning! Week = made. I am in LOVE! I know about as much as Buckeyes as you do, but I can already say I’m obsessed. You pretty much took my all time favorite candy and made it better! These are fantastic Ashton! So brilliant! 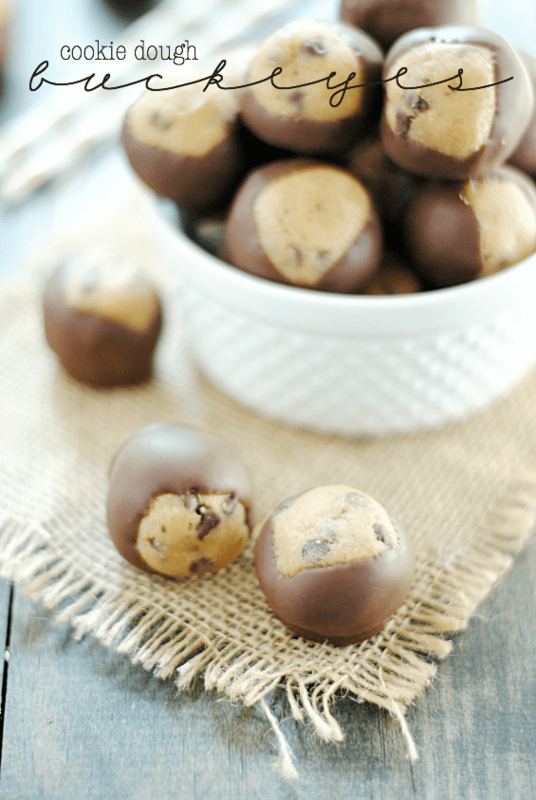 I love buckeyes, but I know this cookie dough version would kick the traditional ones’ butts! I love the usual buckeyes with peanut butter (and also loved collecting the real nuts as a kid… although I grew up in Illinois, not Ohio), but given the amount of cookie dough that’s consumed in my household anyway (and yes, we still include the eggs), this could be a really big hit! Thanks for the recipe! I wouldn’t mind piping a few of these in my mouth! Thanks for joining us Ashton! I love buckeye and have been meaning to make them in like forever. 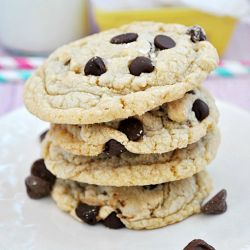 Love your chocolate chip cookie dough twist on the traditional recipe! These look sinfully delicious, Ashton! 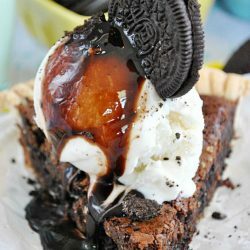 The cookie dough just takes this to over-the-top awesomeness! Lol that’s the gist of buckeyes-they’re also supposed to look like the buckeye (an inedible nut that is a big Ohio thing I guess…they’re the mascots for OSU’s football team anyway). But yeah. They’re pretty tasty. BUT THESE COOKIE DOUGH ONES ARE SO MUCH BETTER! I am in luuurve, they look crazy yummy! These are gorgeous! They would disappear in no time around my house! We are big buck eye fan’s over here (the candy not the team). The hubster’s from Ohio so I make the peanut butter variety for him every Christmas. They’re call buckeyes after the state nut-the buck eye. The nut is called after a deer’s eye-or Buck’s eye because the coloration is like one. Don’t eat the real thing though because they are poisonous. 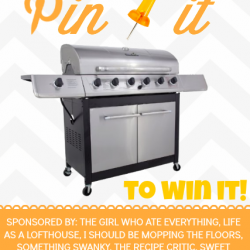 On the fun side–I can’t wait to try the cookie dough version, Maybe even a peanut butter cookie dough version…This has opened up some fun possibilities! Thanks Ashton! Made these tonight for a twist on the traditional Buckeyes I usually make. Everyone loved them, all I brought home was an empty plate! Also, the sugar stabilizes the milk so it doesn’t spoil. Go Bucks! Awesome! My oldest totally despises peanut butter so I’ve gone too long without my buckeyes. I’m an Ohio girl born and raised, but transplanted to Wisconsin due to my husband’s job.